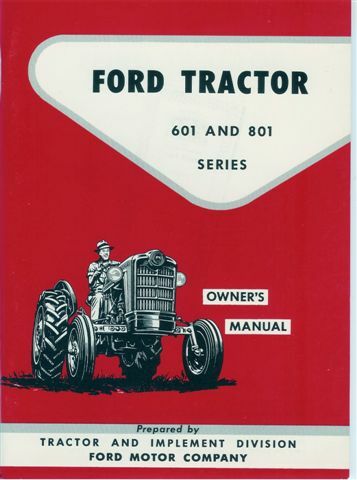 1955-57 600 and 800 Owners Manual. 1957-62 601 and 801 Owners Manual. 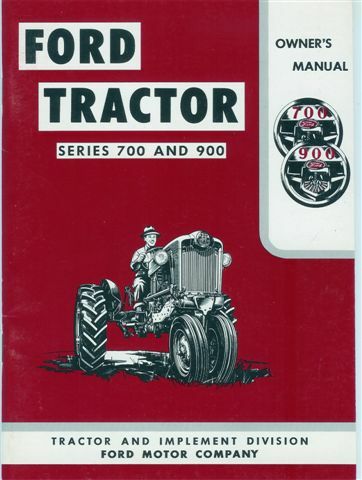 1955-57 700 and 900 Owners Manual. 1957-62 701 and 901 Owners Manual. 1965-75 2000, 3000, 4000, 5000 Owners Manual. 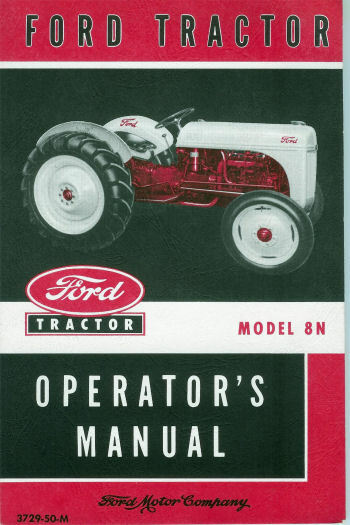 Ford Tractor 8N Owners Manual. 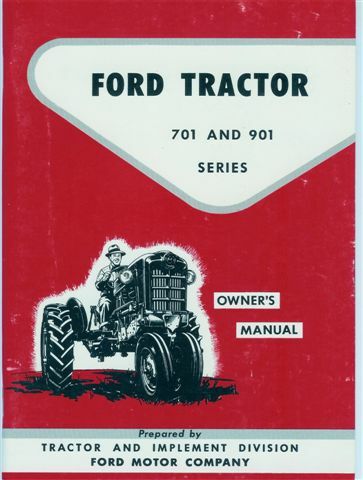 Ford Tractor 9N/2N Owners Manual. 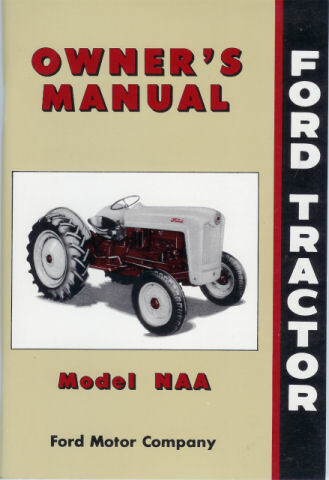 Ford Tractor NAA Owners Manual. 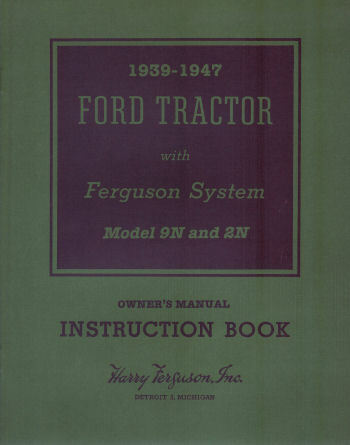 1939-47, 9N, 2N, Ford Tractor Product Information Owner?s Manuals: Ford Tractor with Ferguson System, Ferguson Plow, Ferguson Implements, Accessories. 76 pages. Very good reference book! 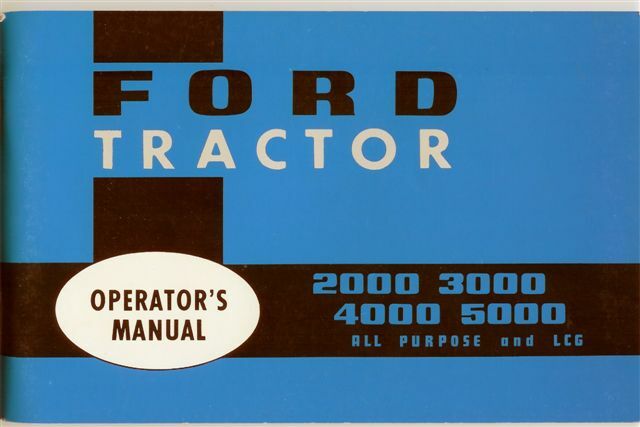 Ford tractor operators manual for 1975-81. Series 2600, 3600, 4100,4600. 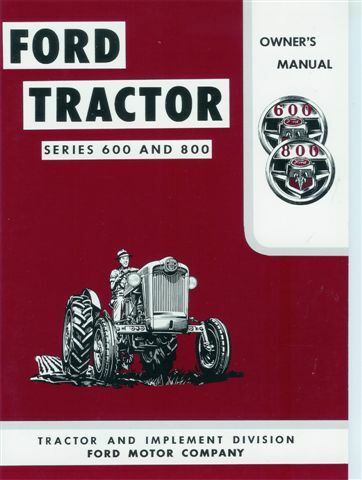 Ford tractor operators manual for series 5610, 6610, 7610.